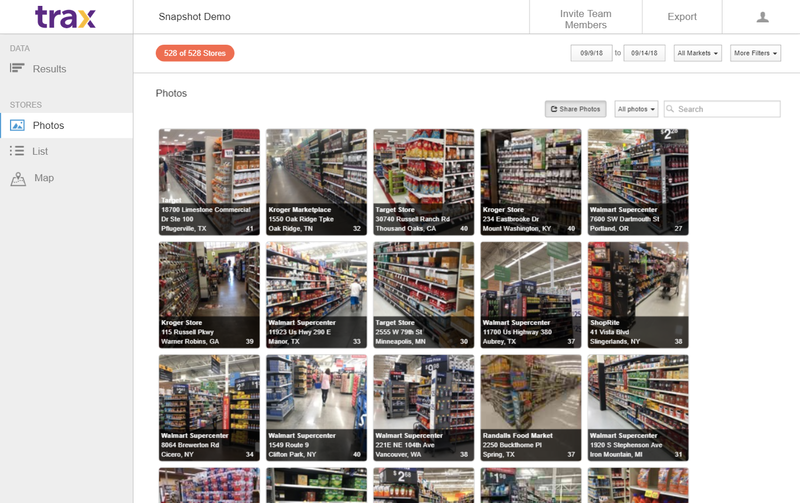 Trax Retail Snapshot provides CPGs a rapid, cost-effective way to get a shopper’s view of in-store conditions and gain unprecedented insights into merchandizing execution performance. Trax Retail Snapshot quantifies your in-store merchandising and promotions at unparalleled scale and speed, helping you to improve execution, optimize new launches and focus your retail efforts on the highest value activities. Trax Crowd, an always-on mobile workforce visits stores at desired frequency and time. Store visit responses and photos are sent to our Trax Cloud for real-time analysis. Insights on execution performance are delivered on the same day via online dashboard. With tighter budgets and fewer resources, we've leveraged this solution to improve execution on promotions, keep our products on-shelf and increase sales without increasing spend. Trax Retail Snapshot unlocks your ability to achieve performance driven merchandizing with quantified store data on granular, store-level conditions that are continuously being collected in thousands of stores across a range of retail channels daily. Get visibility into in-store execution of your trade programs, understand what is driving sales and better compete for storewide promotional opportunities based on performance metrics. Leverage unbiased, timely data on what happened in store and use real photos to drive strategic and mutually beneficial conversations with retailers, e.g. what’s driving out-of-stocks and how to remedy issues. Gain access to your workforce’s merchandising execution performance, staff the best people for the right job faster, and improve your coverage strategy. Activate Trax’s mobile workforce and start quantifying the stores within 24-48 hours of starting a promotion or new product launch. 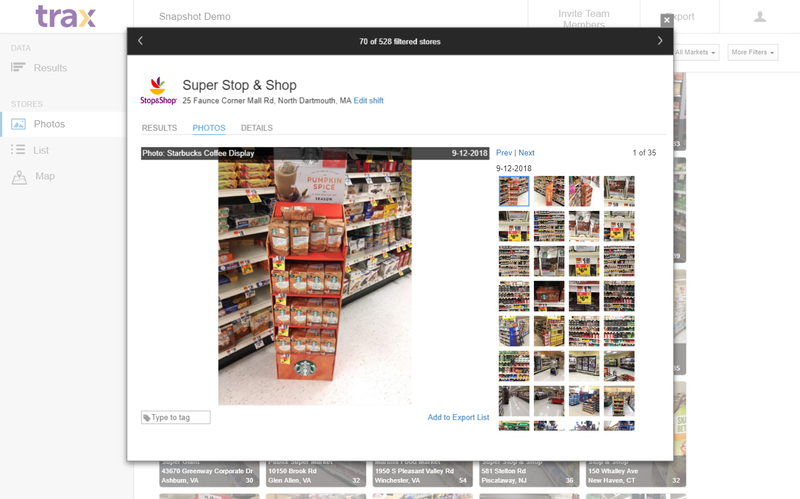 Leverage objective and complete data with photo evidence of execution at store-level, delivered in real-time. Dramatically reduce the cost of store checks and get greater coverage and reach anytime, anywhere.